Clients today expect CPA firms to finish their taxes or documents quicker, more efficiently, and at a reasonable price. CPAs must conform to new technologies to meet the demands of the client. Placing your firm’s data on the cloud is only the first step to be successfully planted in the cloud. There are several steps that need to be considered when joining the cloud community, or when changing from one cloud provider to the next. Managed service providers, like TOSS C3, can help make the jump to the cloud an excellent experience. Managed service providers help create solutions for your CPA firm. Some strictly manage IT models, while others manage a full range of packages to help provide the best coverage for your company. For a monthly or yearly subscription fee, managed service providers can handle some or all of your IT needs. This means they can help keep your labor costs in check and improve overall performance throughout the company. The managed service provider will typically install a monitoring and management system to keep track of traffic, and internal system usages, so they know when you may need to upgrade or downgrade your system resources. The best part of this is that the subscription pays for broken equipment, software upgrade, and application management as needed by your firm. Billing Management – This type of software has several advantages. It allows the CPA to work anywhere they are located. This means they can work on accounts at home, or they can pull up information as needed when they are with a client. This is great when meeting a client or traveling a lot. 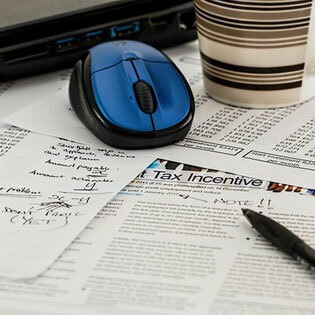 Tax Preparation – There are a lot of tax-sites out there, but this type of software is integrated to work with the cloud. All the tax information at the firm is accessible. This speeds up tax delivery times to and from the client. Client Accessibility – There are many different types of this software, but there are some created specifically for accounting firms. This type of software allows the client to access financial documents, including tax returns, with a simple login. Management – There are all kinds of managing software system that are cloud ready. These can be used to manage HR, social media, documents and many more. There is no doubt that CPA firms should move to the cloud. It is the smart thing to do regardless of the size of your firm. There are few things that will help you prepare before making the leap. If this is your first time, then feel free to start slowly. Too much change may cause some complications in your current processes. Talk to a managed service provider and find out what your options are. Ask a lot of question. Make a plan before you initiate the move. Take advantage of all the training available. Many cloud service providers will be happy to train you and your employees in different aspects of the cloud conversion. CPA firms are everywhere, and you have to do what is necessary to make your firm stand out. The cloud not only helps the firm on the inside, it also benefits the customers on the outside. As technology continues to move forward, clients are looking for solutions to make their lives better; be one of their solutions.